The personal injury legal team at Angotti & Straface has been winning substantial claims for clients whose babies have suffered birth injuries in Morgantown, and throughout all of West Virginia, for over 66 years. Our main goal is to secure justice for these young victims who may face a lifetime of pain and disability, and who have been robbed of the chance to have a fair start in life. These preventable medical tragedies are particularly cruel. We aggressively pursue compensation on behalf of innocent infant victims. Brain Damage or Birth Trauma From Vacuum Extractor Usage? 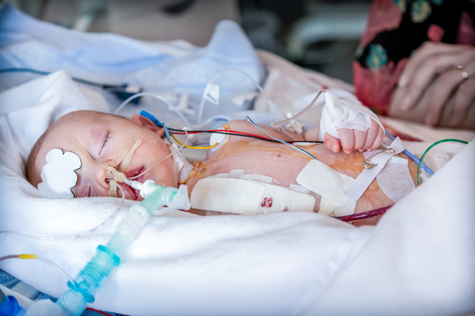 Negligent and/or abrupt decisions to aid or speed up the delivery with unnecessary and dangerous tools such as vacuum extractors are a common cause of brain damage and other birth traumas that may result in permanent damage that requires a lifetime of medical and personal care for the injured infant. You have a right to be compensated for the financial and emotional losses and damages caused by the birth injuries caused by negligent behavior on the part of medical professionals. Contact Angotti & Straface Attorneys at Law for a free consultation to discuss your case at: (304) 292-4381. We can help ease the hardships that have been placed on you and your family whether you live in Charleston, Huntington, Parkersburg, Morgantown, Wheeling, or anywhere in West Virginia. Let us help.